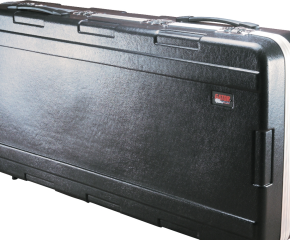 Chromatic stringing can be done with or without the note gaps that naturally occur in a 12 tone octave. 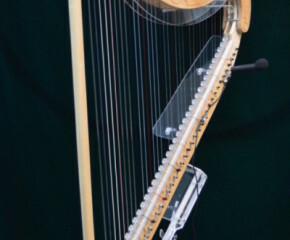 The harp pictured here leaves gaps at the space where a B#(or Cflat) would be, and where a E#(orFflat) would be, and so is termed a “5/7 chromatic” string plan. There is a set of 5 strings (from C to E) followed by a string gap, and then a set of 7 strings (from F to B) and the cycle repeats. 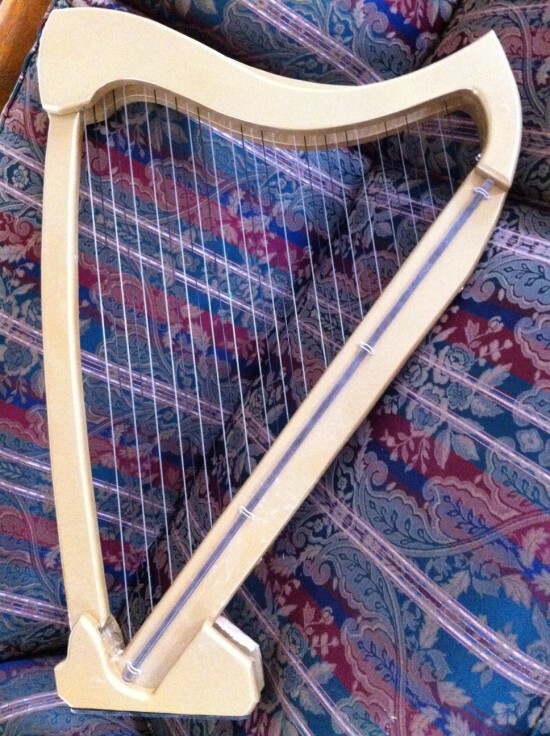 Alternatively, the harp can be strung with a full chromatic plan, in which those spaces are removed (giving the harp a slightly broader range) and the clear and black strings then are spaced more like the white and black keys of a piano. 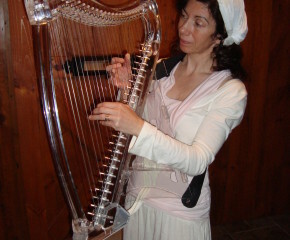 Whether the string plan is 5/7 or full chromatic is an option left to the user, since the harp frame is set up for full chromatic in either case, and it is only a matter of how the strings are applied that determines the type of chromatic plan. We provide full explanation of both options, and string sets for both, so that a player can experiment to find which is the best personal format. Chromatic setups are available in ClearTones, Figment, and Hardwood Elegance harp styles.